Wellington City Council is teaming up with developers to convert an inner-city building into “affordable apartments” in an effort to tackle the capital’s growing housing crisis – at no additional cost to ratepayers. The pilot partnership is understood to be the first model of its kind in the country, with a few more in the pipeline. 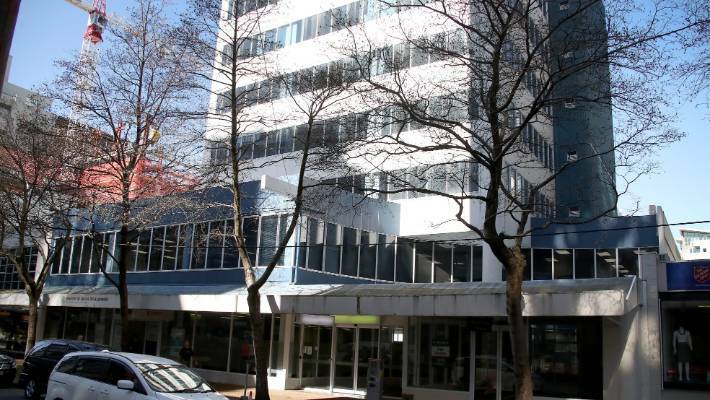 The council has entered into a 15-year lease agreement with The Wellington Company’s initiative, Te Kainga, which aims to provide 35 affordable rental apartments for CBD workers. It will see the council sublet five floors in Freemason House, which will be called Te Kainga Aroha – a name gifted by mana whenua. Commercial tenants will remain on the ground and other floors of the nine-storey 1980s office block. The development at 195 Willis St would be a mixture of one, two and three-bedroom dwellings. Wellington Mayor Justin Lester said the rental market was broken and the initiative created another option. 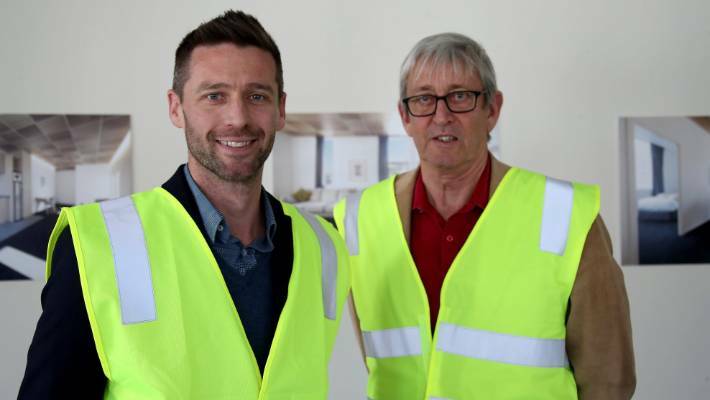 The Wellington Company director Ian Cassels, right, and his son Alex Cassels, left, are working with Wellington City Council to create 35 new inner-city apartments. It would be at no cost to ratepayers, he said. It would start at market rate and become progressively more affordable over time because of the lower rate of rental increase, he said. The council already housed about 3400 tenants in its portfolio of 2090 social housing properties, making it the second-biggest landlord in the country. Rents were likely to be between about $400 and $700 per week. Lester said while the rents were not cheap, he believed it would be affordable for people working in the CBD such as teachers, police, nurses and firefighters who “might be on a reasonable middle income”. The units would be at the higher end of the council’s housing spectrum, but still affordable, he said. The developers had committed to meeting the council’s rental WOF. They will also pay for free Wi-Fi, rubbish facilities, and a gas and hot water system. Project leader, developer Alex Cassels said finding affordable city accommodation was becoming harder. The project was expected to be completed in the second-half of 2019 and would be strengthened to at least 80 per cent of New Building Standard, he said. Wellington City Council and The Wellington Company have entered a 15-year agreement which will see Freemason House converted into 35 apartments. Pictured: The Wellington Company director Ian Cassels and his son Alex Cassels, who say money is not the prime consideration for the project. 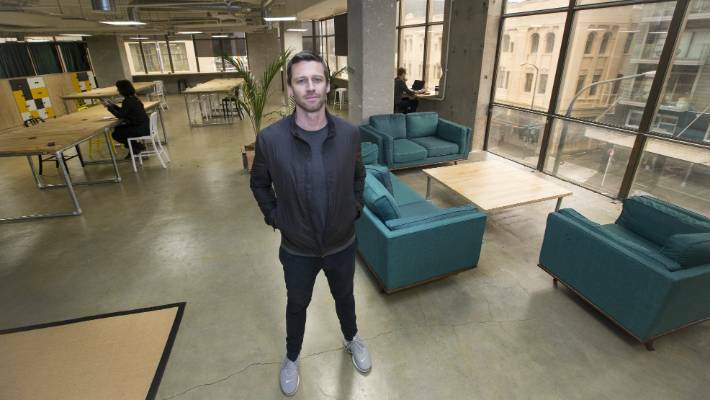 Developer Alex Cassels is partnering with the council to provide rentals for key workers in Wellington’s CBD in his affordable housing initiative, Te Kainga.